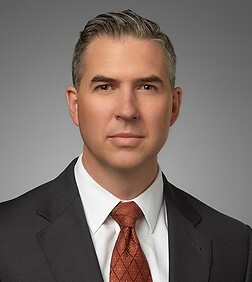 Mark Rackers is a special counsel in the Business Trial practice group in the firm's San Diego office and a member of the firm's Mortgage Banking, Multi-Family and Food and Beverage Teams. Mr. Rackers is an experienced trial attorney who represents clients in a variety of business disputes, with a special emphasis on lender liability, real estate, consumer class action defense, multi-family litigation, and unfair competition. Mr. Rackers’ practice focuses on complex business litigation with an emphasis on the financial services industry. He spent two years in Wells Fargo Bank's legal department, where he managed a portfolio of mortgage, student loan, bankruptcy, credit card, and auto finance matters in all areas of litigation, including trial. He also counseled the Bank on risk management and compliance with state and federal consumer protection regulations, including regulations relating to TILA, RESPA, TCPA, FDCPA and FCRA. At Sheppard Mullin, Mr. Rackers continues to counsel financial institutions on compliance matters and has successfully represented clients in both state and federal court against claims of fraud, breach of contract, unfair business practices and negligence. His experience includes all aspects of pre-trial practices, dispositive motions, and briefing before the California Courts of Appeal and the Ninth Circuit Court of Appeals. Mr. Rackers also has experience as lead trial counsel, obtaining complete victories in bench and jury trials, and has successfully argued before the California Court of Appeal. Mr. Rackers serves on the firm’s Pro Bono Committee and heads pro bono efforts for the San Diego office. Presenter, Association of Business Trial Lawyers Trial Skills Seminar, San Diego, CA, October 2012. Mr. Rackers has taught English and Persuasive Writing courses at the University of California San Diego and San Diego City College. Board Member, Legal Aid Society of San Diego, Inc.